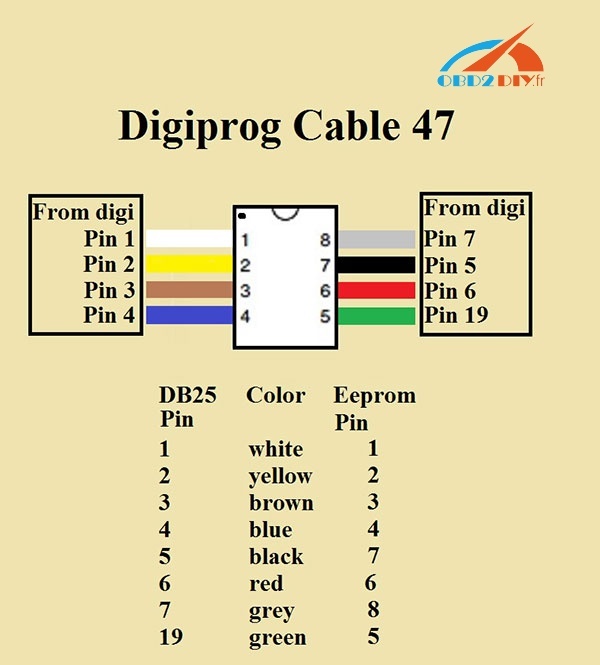 I still see a lot of questions about the Digiprog 3 cable wiring and wire colors, as clones come with the wrong colors and all the Digi PDFs use the correct colors. That is, colours of plug different from the plug that shows in the pdf manual. 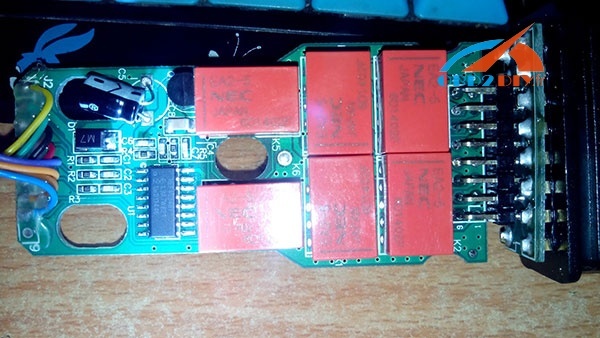 Here is a comprehensive list of wiring colors and pinouts that I have put together from different sources. 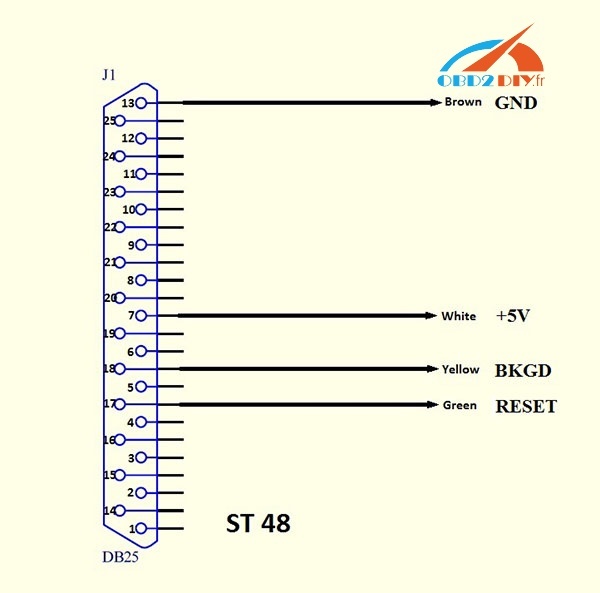 First time users of Digiprog3 should verify or rewire their cables accordingly. Credits to Hil Cipres for some of these.